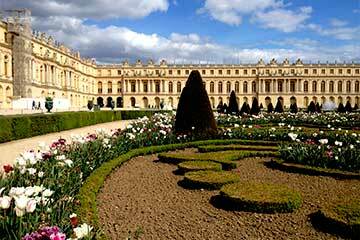 Visit Versailles and the Louvre in one day with a Versailles and Louvre Tour from Paris. This tour is available on Wednesday, Thursday, Friday, and Saturday. Your Versailles and Louvre tour begins meeting at 41, Avenue de la Bourdonnais, the tour company’s headquarters Your guide will drive you to the Palace of Versailles, the former residence of the Sun King, Louis XIV. There you will be able to discover the famous French-style gardens, the outside of Marie Antoinette’s Hamlet, and the outside of the Grand and Petit Trianon. You will also be taken by your guide inside the Palace of Versailles for a one-hour guided tour around the state apartments and the Hall of Mirros. After your Versailles tour, your guide will return you to Paris were you’ll have lunch in the Opera district. Your Versailles and Louvre tour will continue after lunch with a guided tour of the Louvre Museum. 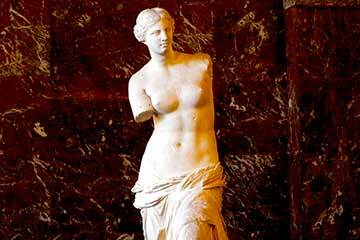 You’ll get to see in particular three of the Louvre’s main works: the Venus de Milo, the Winged Victory of Samothrace, and the Mona Lisa, which was painted by Leonardo da Vinci at the beginning of the 16th century. You will then be free to spend a little more time in the Louvre to visit other sections of the largest museum in the world. Tour ends at the address where you began the day.